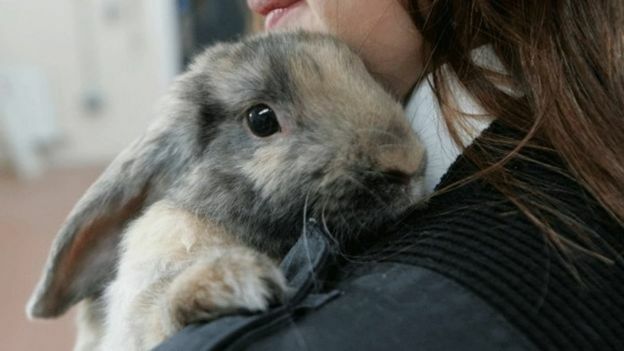 MSPs have considered a call for pet rabbits to be given greater protection from neglect and abandonment. Holyrood’s public petitions committee has been taking evidence on a 2,044-name petition seeking improved legal protection of the animals. The petition has been closed following its third hearing by the committee. MSPs were told that the Scottish government would consider rabbits’ welfare as part of wider review of regulation protecting pets. Campaign group Rabbits Require Rights Scotland raised the petition. It called for rabbits to be given the same protection as cats and dogs as well as regulations on breeding and the minimum size of housing. The group hopes a tightening of the rules would also reduce the numbers of abandoned rabbits. A spokeswoman for Rabbits Require Rights Scotland said campaigners were pleased to have had their call heard by MSPs. Last year, animal welfare charity the Scottish SPCA said it rescued 728 rabbits in 2014 and took 669 into care last year. These included abandoned, unwanted and escaped pets. Scottish SPCA chief superintendent Mike Flynn said many of the rabbits the charity rescued last year had either been abandoned or given up by their owners. He said: “A common excuse we hear is that the children in the family, who asked for the rabbit in the first place, have become fed up now the novelty of the new pet has worn off. Mr Flynn added: “One of the biggest issues is rabbits being left in a hutch with no interaction other than a brief visit from their owner to bring food and water.